What Are the Left and Right Bumpers on the PS3? The PlayStation 3 is Sony's gaming console and media center, and it has a number of proprietary accessories, like the PlayStation Move, the PlayStation Eye and of course, the DualShock controllers. The PS3 has had a couple of official controllers, but their button layouts have been identical, and they correspond to most controllers, such as the Xbox 360 controller. The PS3's L1 and L2 trigger buttons are in the same place and serve the same function as the Xbox 360's left and right bumpers. When Sony launched the PlayStation 3, the controllers for the system were the Sixaxis controllers, similar to the DualShock 2 controllers on the PlayStation 2. The DualShock 3 controller, which replaced the Sixaxis controller, retained the same button layout. The controllers have two analog sticks, a four-way directional pad, four standard buttons, four trigger buttons, as well as start and select buttons. All of the Sixaxis and DualShock 3 controllers are Bluetooth-enabled; after charging, they don't require any cords for use. They also have motion sensing components, so the controller can be physically moved to interact with the PS3. The Xbox 360 also has four buttons you pull with your index fingers, similar to a trigger, but only two of them are named "trigger button." The set of smaller buttons nearer to the top of the controller are the right and left "bumpers." The PS3 has corresponding buttons in the same location. The general term for all four is "trigger buttons," but more specifically the right and left "bumper" buttons are called the L1 and R1 buttons. The other trigger buttons are L2 and R2. 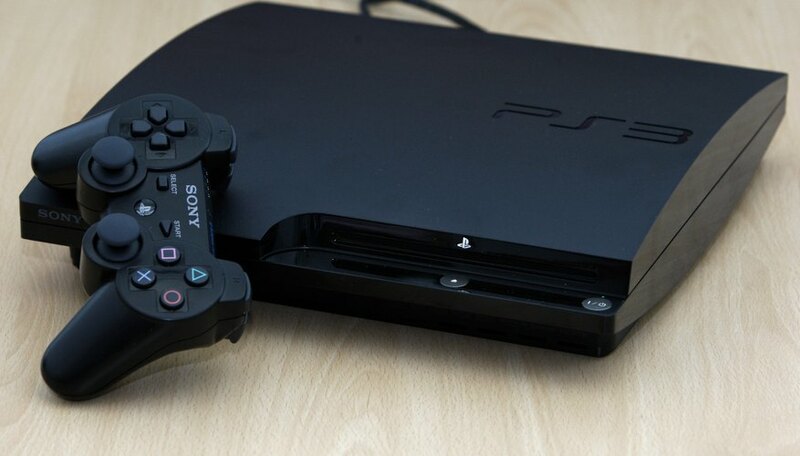 In place of the A, B, X and Y buttons, the PlayStation 3 has the X, circle, square and triangle buttons, respectively. The four-way navigation pad and the two analog sticks function identically to the similar controls on the Xbox 360, and the "start" and "select" buttons are essentially the same as the "start" and "back" buttons on the Xbox 360. The most recent official PS3 controller is the DualShock 3. This controller looks almost identical to the Sixaxis controllers, but it also has a vibration feature. The controller is noticably heavier than the original Sixaxis controllers, but it's still light enough for extended use. After the release of the DualShock 3 controller, many games began to advertise their integration with the controller's rumble features with a label saying "DualShock 3 Compatible." A lover of technology in all forms, Matt Skaggs began writing professionally in 2010, specializing in Windows computers and Android devices. His writing has appeared on many websites providing a plethora of technology information and tutorials. In 2008 Skaggs graduated from Bob Jones University with a Bachelor of Arts in humanities.